If you are looking to hold your event at your home or other location, Woodman’s will come to you and cook! We have over 100 years of catering experience and will provide your guests a culinary experience they will talk about for a very long time. 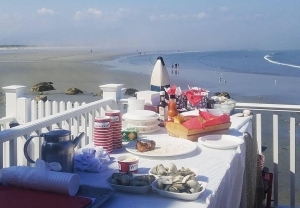 Woodman’s has been catering off-site wedding receptions and arranging wedding party rentals throughout the Boston area. If you are having a celebration of any kind anywhere, we can accommodate all your needs. Woodman’s can assist in arranging what you need, so you do not have to! Woodman’s offers something for everyone, including BBQ’s for the non-seafood lovers. Not only are we a gluten free restaurant, but we can make any catered event gluten free. There is no event too big or too small, whether it is corporate catering, weddings, graduations, birthdays or a family reunion. Woodman’s caters any event you are planning, wherever you want it! Call us at 978-768-2559 to book your event today! Contact us to learn more about how Woodman’s can come to your home or any location!